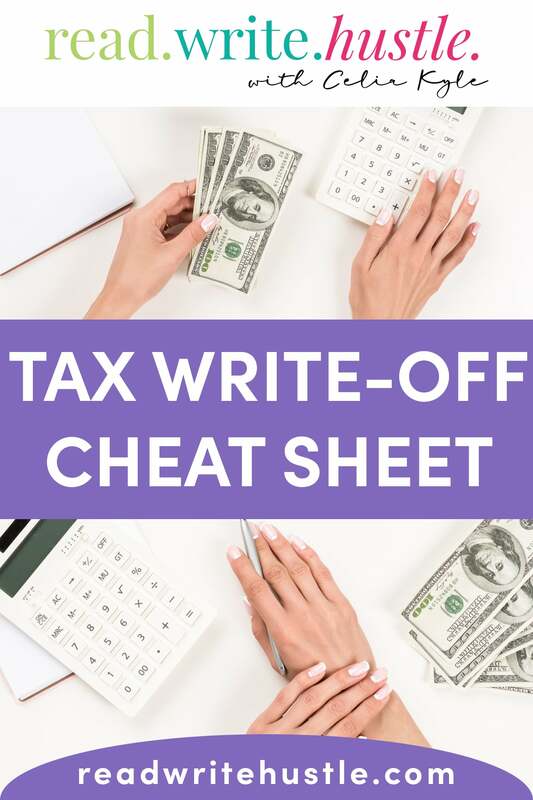 Tax Write-Off Cheat Sheet for Authors » Read. Write. Hustle. What will you find in the cheat sheet? What other tax tips, tricks, and recommendations do you have for authors at tax time? Share them below! Before we get started, a quick note that I am not an accountant or tax professional nor did I ever play one on TV. This is information I compiled while doing my own taxes and speaking with my accountant. Always consult a tax professional or TurboTax when preparing your write-offs. This totally isn’t a complete list and I provide examples of each type of expense, so be sure to have your cheat sheet handy while you’re calculating your write-offs. One thing authors might not realize is that accountants don’t need your receipts. Honestly, their job is easier if you don’t hand them a stack of receipts while you randomly flail your hands and scream for help. You know the freak out I’m talking about, right? That “Gah I have no idea so help meeee!”? The cheat sheet file also includes a fillable worksheet. Fill out the date, description, and amount for each item that you can write-off and the pdf file will add up the total at the bottom of each column. Once done, print out your completed page(s) and hand them off to your accountant. Quick and easy peasy. This saves you some time with your calculator and makes your accountant’s job that much easier. Pingback: Best Accounting Software for Authors » Read. Write. Hustle.